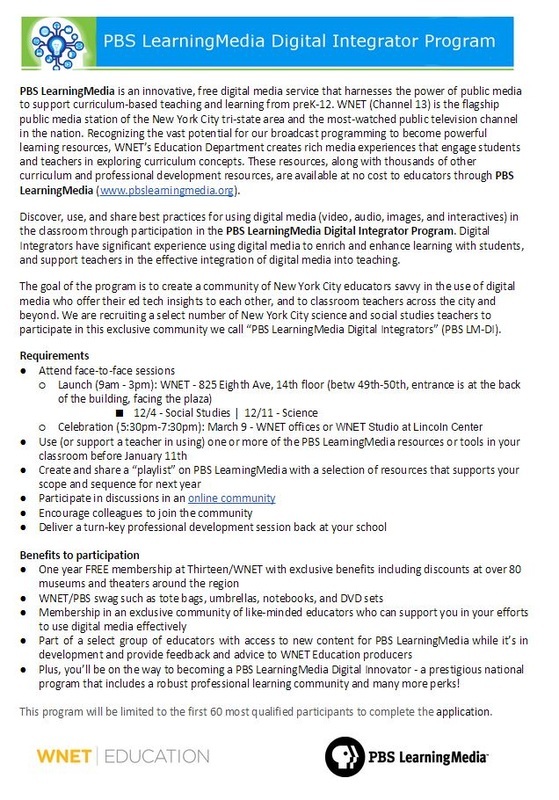 In December 2014, I was selected to participate in the PBS Learning Media Digital Integrator Program. Participants received professional development on the PBS Learning Media platform and using digital media in the classroom. As part of the program, I worked with a social studies teacher to integrate digital resources from PBS Learning Media into a unit on the Triangle Shirtwaist Factory Fire. I also provided professional development to teachers about using PBS Learning Media in their classrooms.